The Department of Pediatric Neurosurgery offers the full range of services in this medical field. The department performs operations to treat brain and spinal cord tumors, spinal cord and brain malformations, craniocerebral injuries, epilepsy, hydrocephalus, vascular malformations, craniosynostosis, and spasticity. 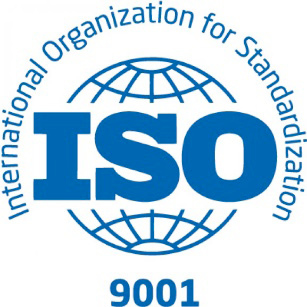 The modern neurosurgical techniques are used for this purpose, for example, neuronavigation, minimally invasive neurosurgery, neuromonitoring, endoscopy, etc. The Chief Physician of the department is Prof. Dr. med. Aurelia Peraud. Of particular interest is the treatment of brain, skull base, spinal tumors in children and adolescents. The surgeons of the department have long experience and excellent professional skills in this field. Since such pathologies are classified as complex diseases, they require an interdisciplinary approach. For example, treatment of skull base and orbit tumors is carried out in collaboration with the Department of Ophthalmology and Otolaryngology, the operations for the craniosynostosis treatment require the involvement of specialists in maxillofacial surgery. Prof. Dr. med. Aurelia Peraud was trained to become a Medical Specialist in the Department of Neurosurgery at the Grosshadern University Hospital in Munich. Before that, she also worked in this hospital as a Senior Physician in the Department of Neurosurgery, where she held the position of the Head of the Department of Pediatric Neurosurgery and Epilepsy Treatment. Her main clinical focuses include neurosurgical treatment of children and adolescents with brain and spinal cord tumors, spinal tumors, epilepsy, as well as diagnostics, treatment and follow-up examination of children with hydrocephalus. 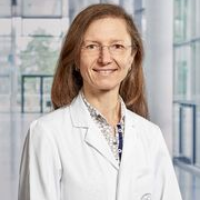 Currently, Prof. Aurelia Peraud is the Head of the Department of Pediatric Neurosurgery at the University Hospital Ulm.